IBC stands for either International Business Company or International Business Corporation. An IBC is a company that is registered in a tax neutral setting without them being liable to taxation or if taxed very minimal. IBCs are privy to tax relief as long as the business is from outside the country, and while they are limited in the activities they may participate in, they are free to operate as they wish. There is a high confidentiality index on such companies with an emphasis on anonymity for the shareholders, owners and members. The people associated with the company can be from anywhere in the world and can do business with whomever they please as long as they keep the home country of the incorporated company out of their sights. The presence of common documents and procedures is not required for compliance’s sake. They are exempt from this and are expected to handle their problems and complications without the knowledge of authorities and the general public. They often retain the ability to allocate registered shares and the now outdated bearer shares. These were outlawed as they wielded excessive power and were too wild a card to have in the proverbial deck. 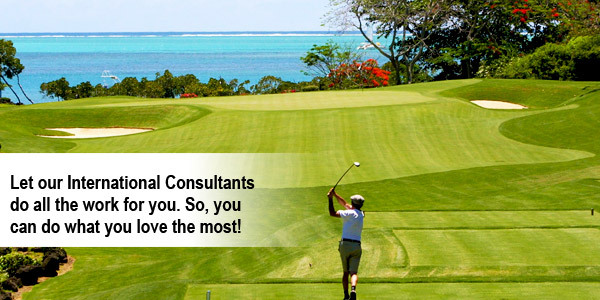 Contact us if you need assistance setting up an International Business Company (Offshore Company). These companies often attract zero tax generally, but some simply get minimal taxation dependent on the profits. The figures vary from 0.25 % to 3 %. This is a significant dent in the dues to the state coffers, but is with good reason, as the state can deny knowledge of the existence and operations of the IBC. The use of stamp duty and local corporate taxation measures does not extend to these companies. They are free to exist as ghosts as long as they keep their dealings out of the local realm. They also avoid the general business expenses being kept on a book, but more significantly, keep their profits concealed. The ability to operate as a wild card in the business world is a great asset for IBCs to possess. This allows them to enter into any business without restrictions, from production to trade and even commerce. This ensures the company can have its members or beneficiaries anywhere in the world with permission only to have an office in the locality. They can operate any form of business with any level of returns and can be used to great effect. The IBCs can be used to own or operate the usually obscene amounts of money on rarities and antiques. Yachts and other high-value unique items can be traded and owned by such corporations especially as the local authorities may limit the value of assets, transactions and insurance brackets. This makes these offshore companies ideal for wealthy folks and businesses to secure assets, fortunes and items of a rarity. The IBCs often take a very short while to come from inception to fruition. They often only require an astronomical amount of money, letters of compliance and one time returns to be filed. The only duty of proof comes when ascertaining whether you understand the particular circumstances within which these companies operate. With the basic registration documents and licenses, you are ready to start the offshore company. That is a pretty small price to pay to run multi-billion foreign deals no matter how you look at it. The only process that may take time is a token KYC (Know Your Customer) background check where a verification of the owners or people involved is needed. 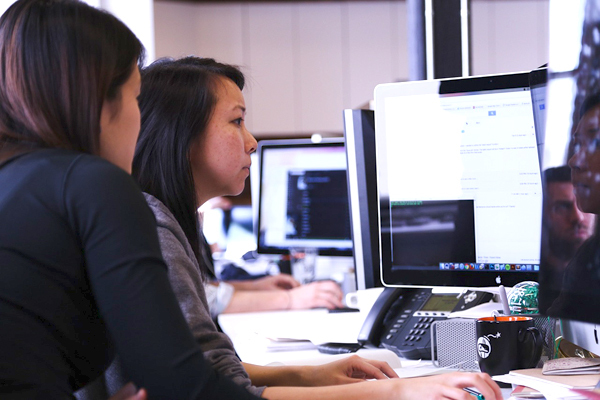 Depending on the country, the guarantee to years of exemptions, waivers and benefits is inherent in IBCs. This ensures their funds and assets are protected from other things like depreciation from auditors, taxation by the state departments and accountability in the form of documentation from registrars. This often extends into an exemption from exchange control with free switching of ownership of assets, shares and other high-value items between able and complicit parties. The IBC accounts can be stored in any currency as opposed to the official business currencies of the world mostly; dollars, euros and pounds. This allows you to retain the integrity of your wealth without losing value to stronger currencies or being subject to the strong currencies’ fluctuations on the international market. The very existence of these companies exposes them to threats like cartels, rogue businessmen and money laundering schemes. The local state authorities would generally protect them, but their waiver on this right leaves them to their means while handling such matters. It ensures these companies retains their anonymity and autocracy to attract business from abroad, and sadly they are as likely to get good business as an evil business. The IBCs can operate in whatever field of activity they desire with their financial muscle able to flex in various sectors. The only restriction remains in running a local business, engaging local officers and evading tax from dividends as these are the ground rules set by many an IBC legislation globally. This is a major blow as it often exposes such companies to inflated prices and hostile deals as they lack the support of locals and authorities. This often leads to such companies acquiring things in informal settings like black markets, cartel strongholds, and unregulated markets or auctions. The business can also not engage local directors or officers to run the company and smooth operations within the local country. The fact they are exempt from tax, duty and levies does not exclude them from creating an initial paper trail through the acquisition of licenses to run the business. These are standard in any country and leave the IBCs prone to disclosure and exposure. There is no way around this, so a reluctant compliance is expected. The British Virgin Islands – One of the legacy countries for IBC legislation, but has been compromised by new laws that limit the freedom of such companies. 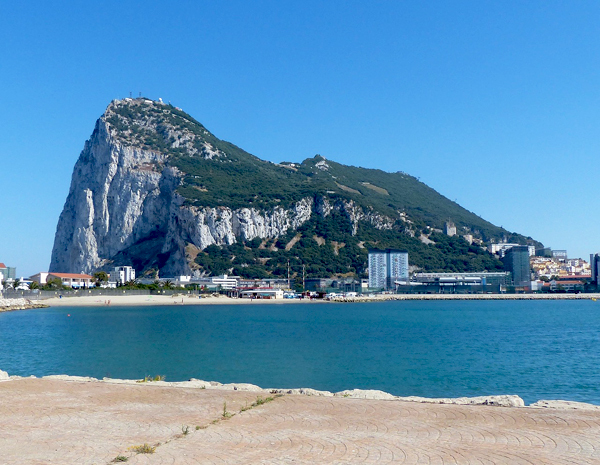 Gibraltar – The country that has grown in leaps and bounds is now on the verge of entry into the EU and subsequently has revised legislation on the offshore type companies to comply. Anguilla – The new powerhouse of IBC company legislation with a neutral tax jurisdiction. The country allows companies to branch into Anguilla as IBCs. The country also lacks the designer taxation systems of other IBC friendly countries and can domicile its jurisdictive powers to any such accommodating country. 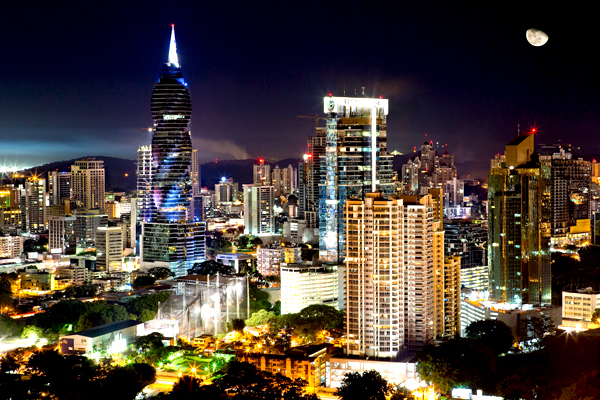 Panama – This is the most attractive IBC banking country in the world. The secrecy, fluidity and freedom of the operations of offshore accounts and IBC operations is rivalled by few in the world. They are all the more attractive due to their immunity from the British regulation to remove secrecy from banks and corporate books. Bermuda – This is one country that employs the slide rule taxation system on IBCs dependent on company share capital, which is an aggregate of authorized capital and premium on issues of shares. Cayman Islands – The Cayman Islands are one of the most exotic destinations for holiday goers and it remains an attractive IBC destination. The need to use Cayman Island dollars on the accounts however is an unwelcome complication. Bahamas – This is one of the more restrictive IBC jurisdictions with a strict boundary from insurance and banking to the country’s operational resources. Belize– One of the prime locations for IBC companies due to its proximity to Miami and Houston, Belize remains the best bet for offshore operations as you can start running the company in less than 24 hours from the ground up. Dominican Republic – The new capital gains tax imposed on IBCs remains a major stumbling block for the Dominican Republic to be an attractive offshore destination for interested parties. Seychelles – One of the most free range IBC legislative regimes in the world and remains an attractive proposition from all over the world as it is highly accessible. Nevis – St. Kitts is one of the more remote islands, but possesses a robust IBC environment ripe for exploitation. The countries stated above have significant IBC friendly conditions that often make them a prime location for offshore businesses. Gibraltar and the British Virgin Islands have recently revised their stance on IBC regimes by changing the legislation. Most of these countries are marginalized or remote islands off the coast of most of the continents. USA, UK, and Hong Kong possess either territorial or residential-based tax systems where Limited Liability entities can possess properties of offshore companies, despite them being onshore companies. The bodies that regulate these countries and their IBC legislative friendly regimes are FATF and OECD. Financial Action Task Force and Organization for Economic Co-operation and Development are increasing the noose on these countries to drop “ring fencing” of IBCs from local taxation. While anonymity and confidentiality are observed, it is common knowledge the amounts of money handled by such companies can be enough to run some countries. Seychelles has, however, remained one of the most attractive IBC destinations. Is it Easy to Register an International Business Company (IBC)? Most countries expect a standard procedure while applying for the licenses and documentation needed to get the business up and running. This may change with the advent of the digital age, but the requirements remain the same. The need to declare wealth is also important with limits the only information required on the finances. The company should be able to file annual returns and provide audits only if they exceed the set limit. Renewal and review are as the country wishes with a strict policy to exist in only one offshore incentive legislation at a time. The company is, however, not limited to a single line of business and may be flexible in its approach to operations. Requirements to Register an International Business Company (IBC)? These remain largely contingent on the nation. It is geared towards encouraging foreigners to have their IBCs while encouraging locals to take up the option as well. The requirement is a monetary value of some kind, a proof of ability to handle the businesses of interest and a trail of confidential accountability metrics to streamline the company in the event of mismanagement or changing legislation. IBCs are often exposed to illegal threats, and this ensures they remain vigilant as the state machinery is not at their disposal for protection or intervention. IBCs are very commonly associated with some of the finest professionals in global interaction to protect the exceptional things of this world. The recipes of the age-old success stories, the assets of unique and historical value, arts and other intellectual products as well as money by the trainload. The free transfer and secure protection of these items may seem contrary to the general good but unmanaged, these items of stunning value can cause unrest in many a nation. The presence of unmitigated value existing in structured economies can create unrest in the public and affect common resources like currencies and stock exchange markets to destabilize and crash. Enron is a perfect example of the special purpose vehicle misused to protect tax evasion culprits and separate the company from its debts and IBC. This highlights the need for legislation and control in the world of offshore companies. Seychelles has a unique twist on things, but is well equipped to handle any fallout from IBC owners or beneficiaries who are out of line. OECD and FATF also continue to offer the right pressure to change legislation from “free-for-all” to “free-to-the-chosen-few”. The beauty of the rules in the IBC game lies in the subtlety of implied freedom and a strict backbone from which any offshore companies must not stray. IBCs can open accounts, trusts and share portfolios under their names to be distributed elsewhere. The use of countries like Uzbekistan and Kazakhstan as destinations for inflated assets, liquid money, and other high-value items shows a trend of IBC legislation failing. Places like Monaco are considered tax free havens, but have not reaped the benefits only. The city is a hub of yachts and holiday homes, but their greatest lessons lie in the success of one of its entities; AS Monaco Football Club. The club is the only one in the elite French League, to have a tax-free model. As recently as this year, teams were forced to vote on the status of the club as a tax-exempt entity, and while the status quo remains, expect changes if the strain of offshore accounts and the public continue to show. IBCs are not just entities of illegal activities and eccentric owners, but are the flag bearers of what an independent society of like-minded people can achieve. The standards of operations at IBCs are of impeccable quality with an emphasis on professionalism, efficiency and most of all, confidentiality. The accountability levels of these companies are not to be sniffed at, despite a lack of requirement by authorities to be as such, and this highlights an innate sense of authority and responsibility. International Business Companies or Corporations are the standards in global business practices. We would love to hear what you think. Leave your thoughts in the comment section.